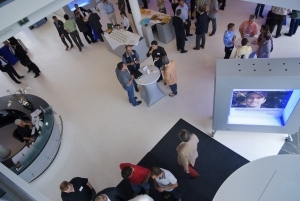 Measuring Behavior 2010 will be held in Eindhoven, situated in the southern part of The Netherlands. Eindhoven is well known for its academic and industrial research and product development. 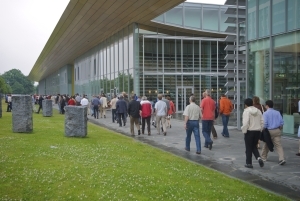 The conference takes place on the High Tech Campus Eindhoven, an ecosystem of high-tech R&D companies and a hotspot for open innovation, in the vicinity of Eindhoven University of Technology. High Tech Campus Eindhoven is a worldwide well-known technology centre, with a diversity of high tech companies who work together in the development of new technologies. It provides advanced facilities and an optimized working culture for many thousands of top-notch engineers. It focuses on crucial technological areas such as microsystems, devices, embedded systems, signal processing an nanotechnology. 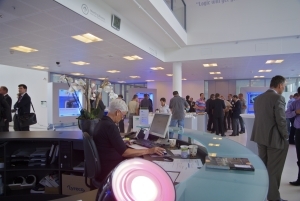 It is a place where employees and businesses inspire, motivate and influence one another. At the center of the campus lies The Strip - a long, narrow building some 400 meters in length. The Strip is a unique facility at the heart of het campus. People come here to share ideas and experiences. This is where the campus occupants can meet up in one of the many restaurants or consult with each other in the high-tech conference rooms, restaurants and other convenient facilities such as shops, exhibitions space, private lunch rooms and a Campus Wellness Center. This striking building is equipped with all conceivable high-tech facilities. More information on the conference venue can be found on the site of Eindhoven High Tech Campus: http://www.hightechcampus.nl/go/pages/the_strip-477.